Nevertheless, Pruitt tripled down on the falsehood by saying pretty much the same thing on This Week with George Stephanopoulos, and Fox News Sunday. The reality is that there were 51,000 total coal jobs as of May of this year. And while employment in mining has been on the decline for years, the recent uptick was small. The 400 new jobs in coal mining this month are a far cry from 7000. In fact, over the first three full months since President Trump took office, coal mining has only gained an additional 700 jobs. Coal mining has declined so much, that the Bureau of Labor Statistics only tracks monthly employment in coal mining in three states since the number of coal mining jobs in other states is so small. Even in these three states, there have been drop-offs in coal jobs over the last decade. 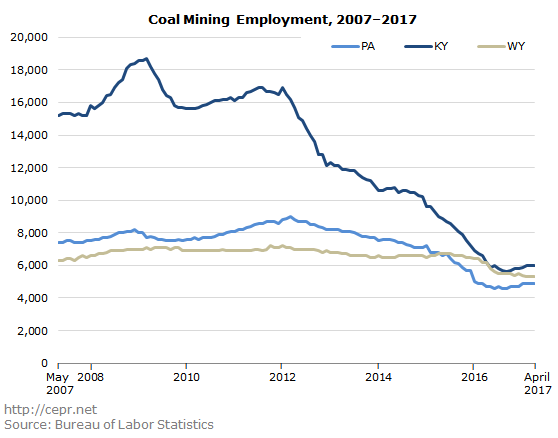 Over this same period of time coal mining jobs as a share of total employment has been well under 0.1 percent in Pennsylvania, 1.0 percent in Kentucky, and around 2 percent in Wyoming. If we look at the map below, we can see that there is little reason to believe that coal is about to come roaring back. While the BLS does not track coal mining for states other than the three above, there is data on mining and logging. The map below shows a three-month moving average percent change in this sector over the first three full months of the Trump presidency. Even with the addition of oil and gas, we see that there has not been a massive increase in jobs. This is not to say that blue collar jobs are a relic of the past. Rather, there are other industries that might be more viable. For instance, a Department of Energy study from earlier this year showed a 25 percent increase in the number of jobs in which people worked at least half or part of the time in solar energy. Many of these jobs involved manufacturing solar panels or installing them. 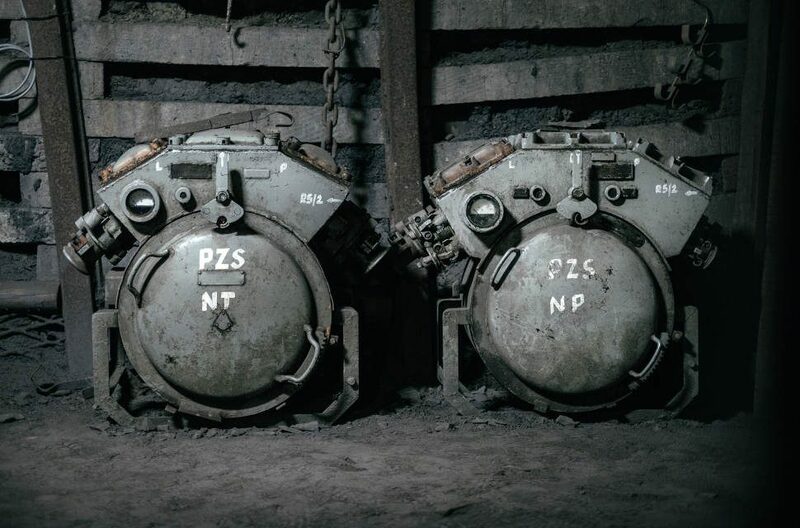 If the focus of the administration is to grow employment particularly in blue collar jobs, they may have better luck looking in areas other than coal mining. Or at least, they might consider citing data a little more firmly rooted in reality.